FIA statement on Mercedes and Pirelli being summoned in front of the International Tribunal. The Monaco Grand Prix Stewards raised in their report to the FIA an issue concerning a tyre testing session carried out by Pirelli with the participation of Team Mercedes AMG Petronas F1 in Barcelona on 15-17 May 2013. The FIA requested clarifications from Pirelli and Team Mercedes AMG Petronas F1 in this respect. The FIA also asked questions to Scuderia Ferrari Team, which took part in a tyre testing with Pirelli in Barcelona on 23-24 April 2013. The FIA requested all the other F1 Teams to provide the FIA with information they may have regarding any tests carried out by Pirelli during the 2013 season. To close the case as regard to Scuderia Ferrari Team considering that its participation in a tyre testing organized by Pirelli in Barcelona on 23-24 April 2013 using for this purpose a 2011 car is not deemed to contravene the applicable FIA rules. To bring the case concerning the tyre testing session carried out by Pirelli and Team Mercedes AMG Petronas F1 in Barcelona on 15-17 May 2013 before the FIA International Tribunal because it results from the inquiry that the conditions of this testing may constitute a breach of the applicable FIA rules. 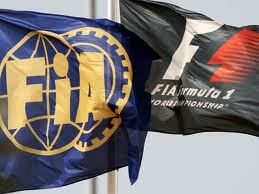 The FIA International Tribunal is called upon to make a decision in compliance with the FIA Judicial and Disciplinary Rules. The Stewards' report follows the protests made by Red Bull Racing and Scuderia Ferrari Team on the occasion of the Monaco Grand Prix against Mercedes AMG Petronas F1 concerning its participation in the Barcelona tests (15-17 May 2013).